19 Wednesdays, 2 superb new dance floors. Cocoon and Pacha. Two iconic names are finally going to make parties together, 19 of them to be precise. Every Wednesday night. It took 19 years but here we go, the curtain comes up on the 30th May. Our Grand Opening. Chemistry, serendipity – call it what you like. If you belong on this island you never know when or where the wind will blow you, it has always been so. Once in a while things fall into place as if by magic. From top to toe this is a new Pacha, the club has not only been refurbished it has been re imagined. Two rooms with character and cutting edge sound. New areas to listen or to lounge. 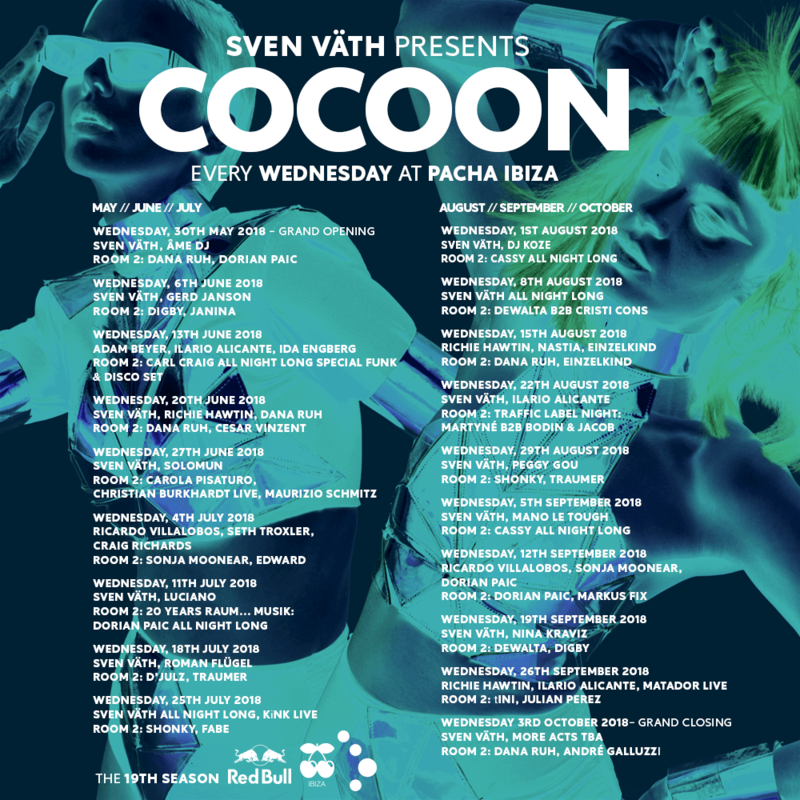 On these two superb new dancefloors Cocoon will be bringing all its expertise and Sven Väth will welcome old friends as well as some of the brightest new talents on the planet. The incredible DubLab will be providing stunning visuals and fx for these brand new nights. This is a big moment. Cocoon and Pacha have set the controls for the heart of Ibiza.